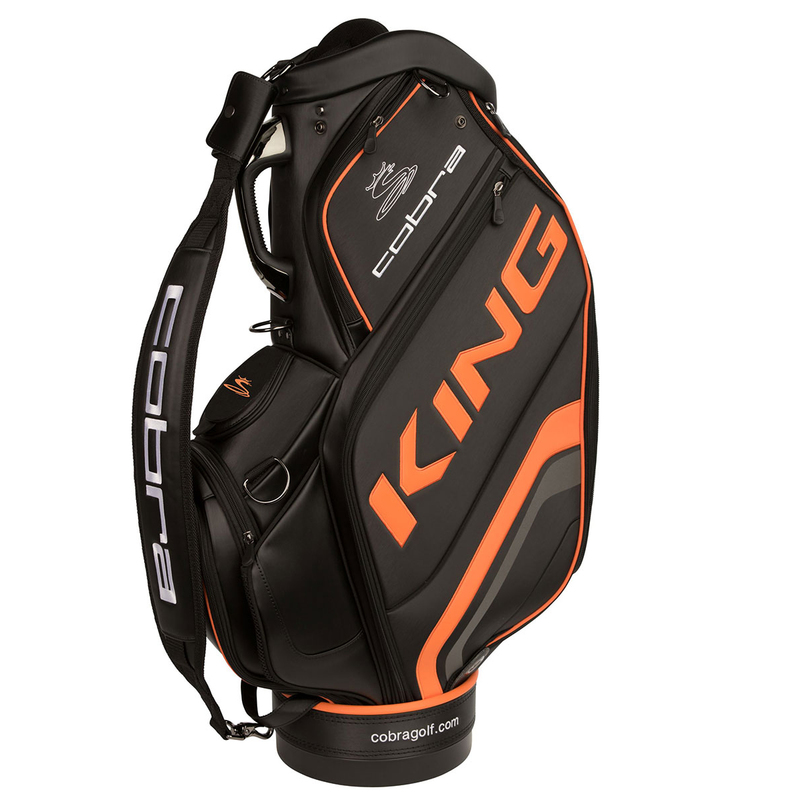 Play golf at the very highest level, with all the space top professional golfers love, with this brilliant staff bag from Cobra Golf. This premium bag has been constructed from a 100% polyurethane material which is highly durable, and has a sturdy construction, weighing 8lbs. For all of your storage requirements the bag has 7 pockets, with dual oversized apparel pockets to store all your extra items such as waterproofs and weather changing essentials. The bag also features a fleece lined valuables pocket to protect your most expensive items, such as your mobile phone or GPS device, and has a customisable belly pocket panel, ready for club cresting or personalization. 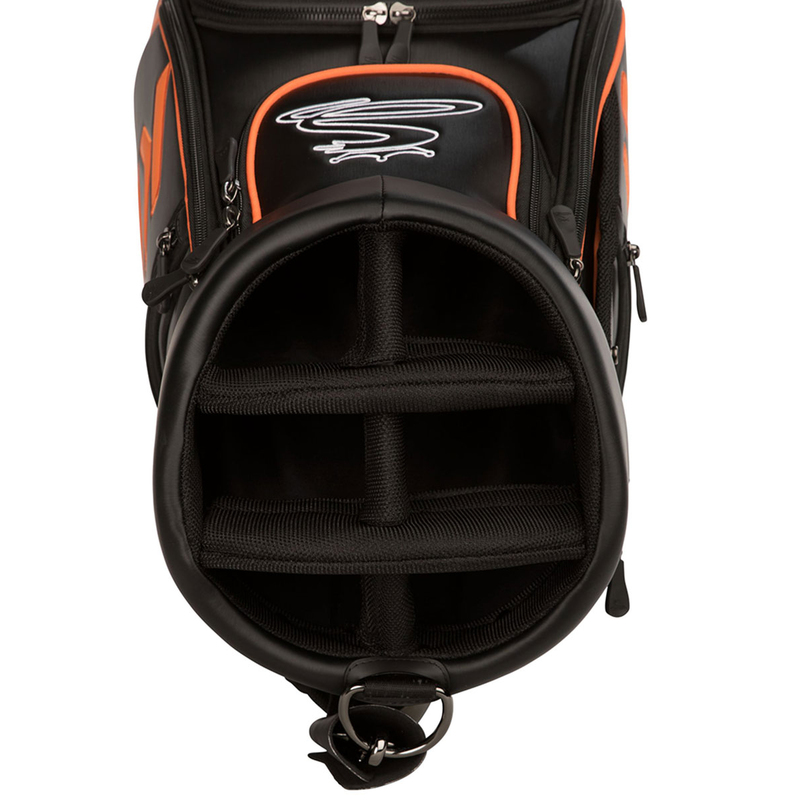 For better club management the bag has a 6-way full length divider system, which prevents your clubs from snagging, and ensures easy club selection. If you decide to carry the bag has a 3-point padded harness strap, and is highlighted with Tour authentic brand logo`s.